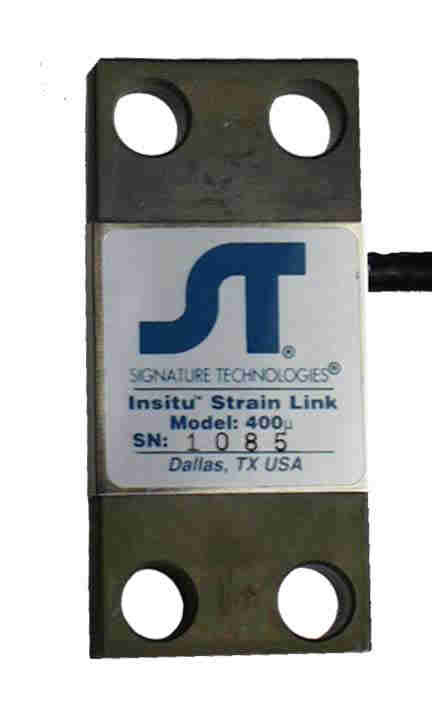 The InSitu µ400 Strainlink is a robust strain gauge transducer suitable for application on large machines such as stamping presses. Featuring a reliable bonded strain gauge and mechanical properties designed to yield an electrical signal proportional to the load of the machine it is properly affixed to. This gauge is ungrounded making it suitable for instrumentation grade monitoring systems which feature differential inputs. The basic µ400 strainlink kit includes 30 feet of cable, mounting bolts and hex wrench. Options available include weldpads, JIC enclosure and drill guide kit. Cable can be cut to length desired or it may be custom ordered in longer lengths. .25" x 1" x 2.19"
4 conductor + Shield, oil resistant, poly jacket. Standard Lengths: 35(stock), 50 and 75 feet. Optional lengths and types available.